Lets turn our attention to Autumn and what this brings to us. In Traditional Chinese Medicine (TCM) Autumn is the beginning of the next yearly cycle. We may be feeling a sense of loss right now as we feel the summer ‘ending’. This is a natural feeling as things contract in Autumn. We enjoyed the rising expanding energy of the spring which propelled us into an active summer which encouraged us to step back and reflect and then to restore in late summer, all ready for us to begin to quieten down and tidy things up ready for a restful, restoring, reflective, nurturing winter. This is the cycle and we can benefit a great deal by adapting our lifestyles for these energies. 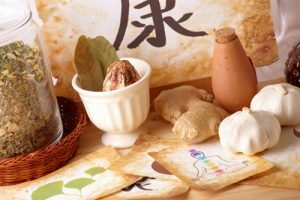 Autumn is associated with the lungs and the large intestine (the colon) in TCM, which means that these organs are the most vulnerable to the conditions of this season. We may see more breathing complaints or intestinal problems. If these are minor complaints and pass quickly then you know it is simply your body acclimatizing to the new seasons conditions. If your conditions stay or you suffer throughout the year then this indicates that you need to take better care of yourself or seek help. It is not inevitable to get a cough or cold. We use Qigong and holistic and energy therapies to build up our ‘guardian chi’ which acts like a barrier to the germs and bacteria, which are called external pathogens in TCM. We cant always stop them getting through the barrier but how well our body fights this is a reflection on our overall health. A healthy balanced body can stop the external pathogens completing their negative processes. So what does all of this mean? Take notice of the signals that your body is telling you. Eat when you are hungry, sleep when you are tired and eat well. Start taking a jumper out with you so when the conditions cool down you can keep your body at a comfortable temperature.. Practice your qigong every day to build up your guardian chi. Meditate once a day and reflect on your life. Have a therapy whether weekly, bi-weekly or monthly for the condition which is affecting you, make changes and adjustments to make your life flow better, you might be surprised how one small change may impact on your whole life. So make time for yourself and feel the difference in the body, mind and spirit. Anyone interested in Qigong please contact me whether you want one to one sessions in your home, with a friend or group of friends or for new classes starting.